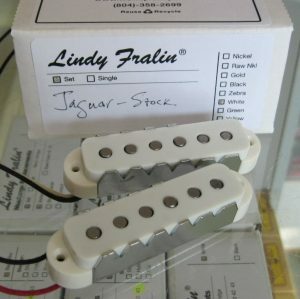 Lindy Fralin Jaguar Pickups set of 2 with stock output neck and bridge pickups. Includes white covers, claw shields, and mounting screws. These pickups are loud! 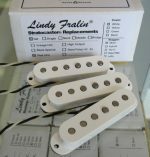 We designed these pickups to be pretty high output (6.3K Neck, 7K Bridge) so they’ll sound great with a factory-installed 1Meg volume pot. On clean, the neck pickup sounds bouncy and rich. Lots of warm low-mids and fat treble strings. 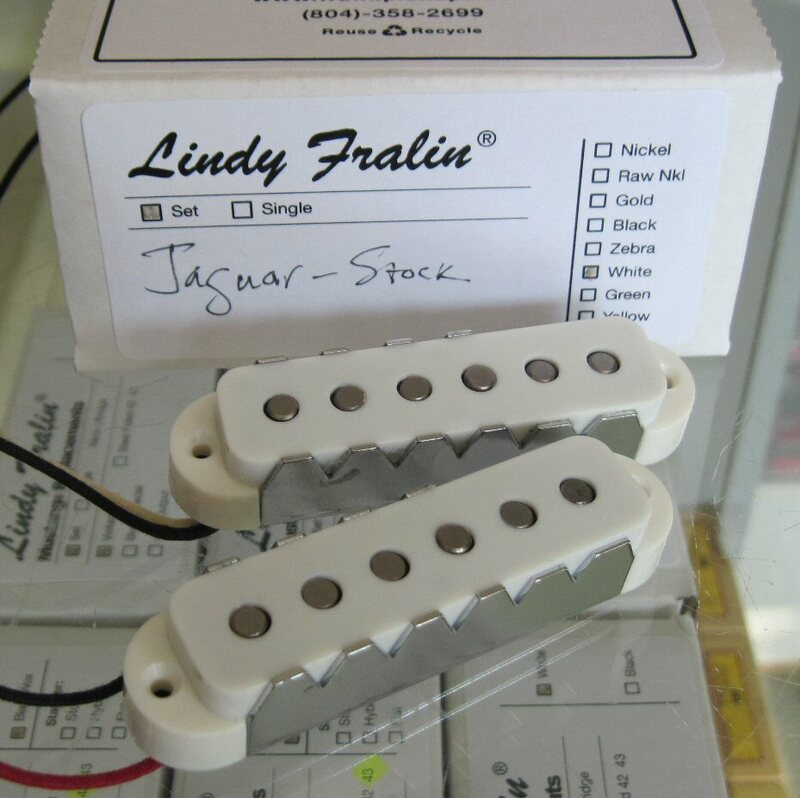 The bridge pickup will be just hot enough to play nicely with the neck, while still bring bright and snappy. Both pickups will sound clear and articulate with a 1Meg volume pot, but you can always darken your tone for a jazzier vibe with a 500K pot. 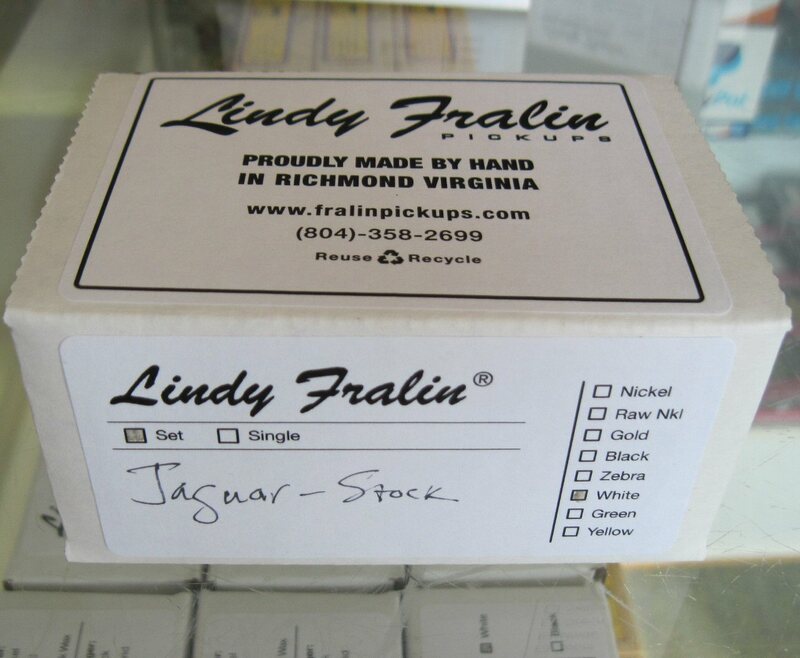 With some overdrive or distortion, expect a lot of “cream” as these Jaguar replacements break up nicely and evenly.